The incumbent will report to the Communication and Culture Manager. Manage the Institution’s presence on Facebook, Twitter, YouTube and other relevant social networks, with the aim of increasing RFC’s presence and followers. Update the RFC’s website on a regular basis. Work across departments to ensure proper messaging is being executed online and is relevant to RFC goals. Manage online discussions by responding in a timely manner to users’ needs and requests. Monitor the media on daily basis. Monitor and track discussion topics; prepare content and statistical reports; online research on cinema related topics. Assist in the screening program: selection of films and management of the screening (introduction, moderation) whenever required. At least 3 years of work experience, preferably in a media or culture related activity. University degree preferably in arts, journalism or IT. Social media savvy and active on social networks. Excellent communication skills both written and oral, in Arabic and English. Easiness to write properly and speak in public. Cooperative with a team spirit, innovative and autonomous. March 2014, and indicate clearly in the subject of your email the title of the position you are applying for. Under the direct supervision of the General Manager, the Cultural Space Supervisor will develop and supervise the Film House’s Cultural Space. He/she will have the opportunity to manage the Cultural Space. Performance will be measured against achieved targets, and succeeding in setting the Cultural Space. Develop a business plan, calculating costs, projecting sales, determining ongoing cash required, profit margins, establishing budgets. Design a marketing plan by assessing competition and determining what would work for the Cultural Space. Develop plans to accomplish long and short-term goals for the Cultural Space. Assure that the policies and procedures of the Cultural Space are enforced. Supervise employees working in the Cultural Space and prepare their work schedule ensuring that the Cultural Space is properly manned. Schedule and receive food and beverage deliveries, checking delivery contents in order to verify product quality and quantity. Responsible for resolving customer complaints to the customers’ satisfaction in a timely manner. Plan and monitor food and beverages preparation methods, portion sizes, and presentation in order to ensure that food and beverages are prepared and presented in an acceptable manner. Ensure that all staff are well aware of the various types, blends and flavours of tea and coffee that are available. Ensure Cultural Space cleanliness and appearance levels. Establish and monitor product displays, if any, in the Cultural Space. In charge of the inventory as well as purchasing control policies and procedures for the Cultural Space. Perform any other duties that may be required from time to time. BA degree, non-degree holders with extensive experience will be considered. At least two years restaurant/café management experience. Experience of project management, with a verifiable track record of personal achievement. Background or previous experience in culture or the arts a plus. Highly organized and target driven with the ability to supervise staff and work independently. Knowledge of film industry is a plus. promote young and strong co-productions. 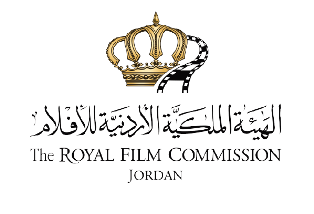 This makes the Animation Co-Production Forum the perfect opportunity for young directors and producers from Germany and the Arab World, who would like to apply for the Film Prize of the Robert Bosch Stiftung for International Cooperation. The Forum is aimed at animation filmmakers who are interested in producing or co-producing an animated film project. The selected filmmakers get the opportunity to present their animation film projects to a professional jury during a pitching session and receive an evaluation of their projects. Thereby the Animation Co-Production Forum offers a chance to create new co-productions. Also several meetings, workshops, consultings and matching sessions will be held within the scope of the forum. The winner of the Animation Co-Production Forum is automatically nominated for the Film Prize of the Robert Bosch Stiftung for International Cooperation. Young producers, animators, and directors from Germany and the Arab World1are eligible for participation. Producers may not submit own projects. They will be brought into contact with submitted projects through particular matching events. The application should be submitted by a producer, animator or director. About ten animated short film projects will be selected from the Arab World. All the above-mentioned documents should be submitted in English. Incomplete applications automatically lead to dismissal from the competition. October 13rd-19th 2014 in Baghdad, has launched its call for entries. The Festival is looking for short-form, documentary, and feature film submissions in all genres. Selected films from the Guests of Honor countries will be screened in the Panorama section. This section features a selection of films produced in the guest of honor country and hosts seminars and meetings about the country’s cinema, history, culture and filmmaker. Official Competitions: There are three: for Long Fiction, Short Fiction and Documentaries. Panorama: This non-competitive section screens a selection of films produced in the country selected to be the “guest of honor”. 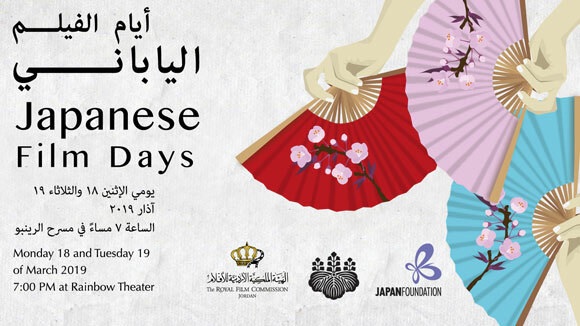 Seminars are also organized to provide information about this country`s cinema, history, culture and film-makers. New Horizons: This section is reserved for Iraqi film-makers, encouraging in particular students who have graduated from the Faculty and Institute of Fine Arts in Baghdad and other Iraqi provinces. Human Images: This section awards a prize for the best films on human rights in Iraq and the world. It aims to encourage Iraqi and non-Iraqi film-makers to deal with this issue and use cinema to highlight the reality of people, in Iraq and elsewhere, who suffer from the violation of human rights. A particular focus on the rights of women and children is encouraged. to encourage them to be part of the cinema business and demonstrate how they have been able to overcome difficulties and obstacles, competing equally with their male colleagues. Photography Exhibition: This non-competitive event provides space for photographers to exhibit their work under the title “Baghdad stands up again.” Photography may focus on a number of themes, including social life, cultural life, people, children, women, nature, and landscape. All sections, with the exception of the Iraqi Film Competition (New Horizons), are open to filmmakers from all nations. No entry fee is required to submit your film to the Festival and no charges on the festival for the projections. 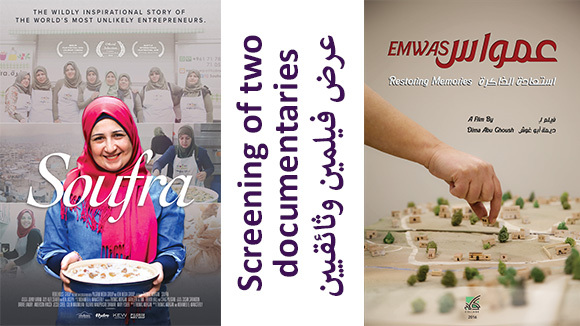 Two multi-zone or region-free DVD copies of the film with English or Arabic subtitles. Each DVD must be clearly marked with the film’s title, director’s name, year, country of production, and running time. Press materials, including production credit list, synopsis in English and/or Arabic, director’s biography, director’s filmography, high-resolution photograph of the director, one printed full-color still, poster and any other relevant background information on the film. All pictures should be sent in jpg format only. All the supporting materials should be sent by email to the address indicated. The cost of shipping an entry must be paid by the entrant. Submissions should be sent to the address below in envelopes clearly marked with “For cultural use only” and “No commercial value” postmarked. The Ismailia International Documentary and Short Film Festival is opening a call for projects for the second round of the Ismailia Platform, the co-production forum of the festival. 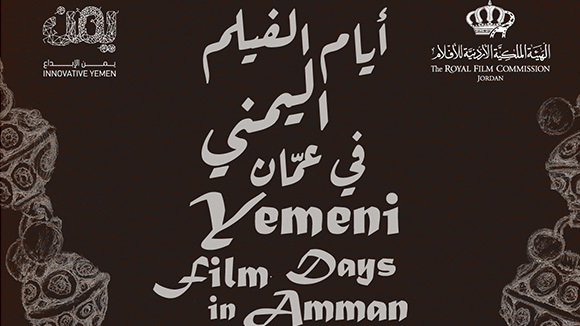 The event is exclusively dedicated to documentary films from all over the Arab world. International projects that have an Egyptian or Arab connection are also welcome to apply. The Ismailia Co-production Platform (ICP) will take place on June 5,6 and 7, 2014. 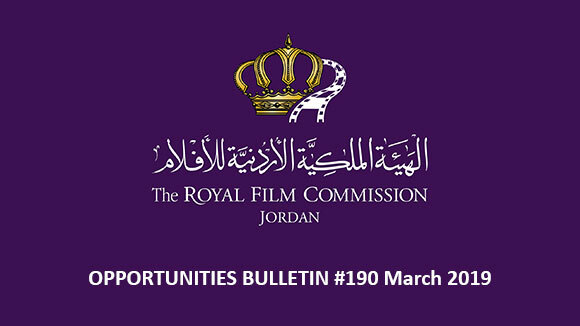 Filmmakers from all over the world, who have a project with “an Arab connection” (director, producer, co-producer, main talent, location, subject matter, etc…) are encouraged to apply with feature-length creative documentaries either at the development or post-production phase. The goal of the co-production platform is to support new and emerging filmmakers to make their projects see the light. The Ismailia International Film Festival wants to support creativity, imagination and freedom of expression. 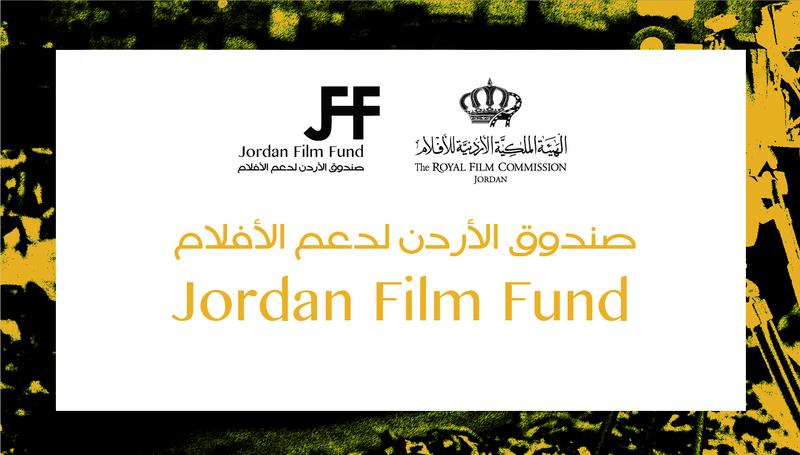 The festival will select approximately 8-10 projects in development and 2-4 works-in-progress. The deadline for applications is April 15th, 2014. The ICP will then invite the project representatives, producer and director, to come to Ismailia for 3 days during which they will have a schedule of one-to-one meetings with Egyptian producers, distributors, as well as with international producers, sales agents and distributors. Most importantly they will also meet with ICP’s jury members, who will choose the projects that will win the development grants and the funding. After a successful first edition, the European Union's Euromed Audiovisual III programme is now launching the second edition of its MADE in MED short film contest. The contest aims to boost dialogue between the European Union and countries of the South Mediterranean region. The MADE in MED short film contest is open to filmmakers originally from or living in the following countries: Algeria, Egypt, Israel, Jordan, Lebanon, Libya, Morocco, Palestine, Syria and Tunisia. Any author, production company, training institution or independent director can submit one sh film only to the contest. Underline the importance of human rights, as well as the importance of dialogue and tolerance. Provide new, original and innovative perspective on the themes of integration, immigration and the threat of conflict. Raise awareness about the importance of protecting the environment, part of the region's natural heritage. Enhance knowledge and understanding of other cultures. Explore the collective imaginary and mutual representations. Underline the diversity and richness of peoples of both sides of the Mediterranean. Admitted genres: Fiction, documentary, animation, and experimental short films. Genres not admitted: All others. Length: Films must be 2 to 10 minutes long. Formats: Films can have been shot in digital or film format, or designed in Adobe Flash file format. They should be submitted to the contest in one of the following formats: *.mp[e]g / *.avi / *.vob / *.mov / *.mp4. Languages: Films must have been shot in English, Arabic, or French. Films in any other language must be subtitled in English, French or Arabic. Year of production: Films must have been produced after November 2010. The Screen Institute Beirut Film Fund offers documentary production grants to emerging and proven talents in the region. Applicants are encouraged to produce films based on stories that relate to their own realities. Priority will be given to creative teams (directors, producers, cinematographers, editors, sound recordists & designers etc.) working together on realizing their artistic visions and thereby contribute to strengthen independent filmmaking in the region. The documentary grants enable low-budget films to be produced, finalized and distributed by offering crucial financial support, access to professional equipment, mentoring and professional advice. Financial support will be granted on the basis of a budget that reflects realistic, low-budget costs in the country of production. Projects will have to secure additional finance from other sources. For each successful project, the Film Fund set up specific demands and milestones that the applicants have to meet. The grants will be released in predetermined installments and contingent on the project having met the agreed goals. The final installment will only be released when the film is completely finished and account have been submitted and approved. ( IOM) invite you to submit original and creative videos focusing on PLURAL+ themes: Migration, Diversity and Social inclusion. documentary, drama, music video, comedy etc. Videos should reflect the aims of the PLURAL+ Youth Video Festival, which are: recognizing youth as agents of social change; involving youth in addressing questions on migrant integration, inclusiveness, identity, diversity, human rights and social inclusion wherever they be in the world. All videos must be 5 minutes maximum of running time, including title and end credits. If the entrant is a minor in his/her country of residence then the entry form must be co-signed by the entrant’s parent, guardian, teacher or adult responsible for the entrant(s)..
Entrants must get the consent of everyone appearing in their videos if their faces are recognizable. Entrants must get the consent of everyone whose music is used in their videos unless consent is not needed (due to lack of copyright etc.). Entrants must get the consent of everyone whose copyrighted, patented or trademarked material appears in their videos. Videos do not have to have been made specifically for the PLURAL+ Youth Video Festival, but videos must have been completed after January 2012. This year the Science Film Festival takes place internationally from October 13 until December 14 and the theme in 2014 is “FUTURE TECHNOLOGIES”. The festival invites all filmmakers, producers and broadcasters to submit their films and programmes to the festival. Entries are welcome on all subjects and for all ages. The Science Film Festival reached over 440 000 visitors in 11 countries in Southeast Asia and the Middle East in 2013. The deadline for submitting the application form is by March 31, 2014. A pre-screening copy should arrive at the Goethe-Institut in Bangkok no later than April 04, 2014. The Qabila Short Film Festival is calling for short films from all over the world for its second edition to be held in Egypt this May. Fiction, Best Short Documentary and Best Short Animation. There will also be two awards for Egyptian filmmakers: Best Director and Best First Film. Submitted films must have been completed after January 1, 2012. Directors should be aged between 16 and 36 years old at the time of submission. Films can be submitted from any country around the world. Submitted films should be between one and 30 minutes in length. Submitted films can be fiction, animation or documentary.